Excellent condition, has spent its life in proper server room. 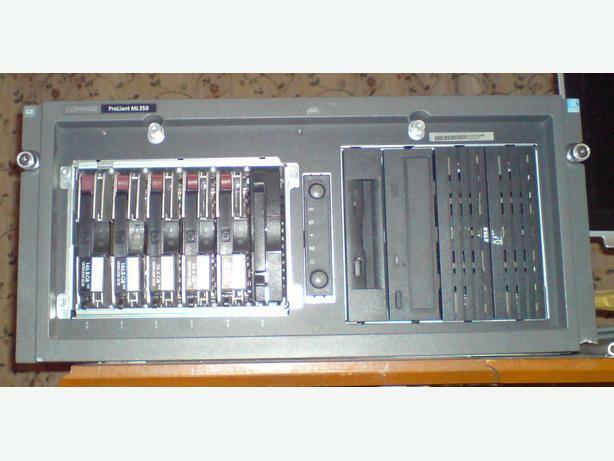 Ideal donor for parts, as a replacement/spare machine for a cheap client, for learning server hardware, a domestic server (but don't think RAID is real back ups), dedicated games server, etc. Compaq Smart Array 641 with multiple Ultra320 SCSI Hard Drives, all blanked, no SMART errors. Keyboard/monitor/mains lead not included. Does include two more hard drive caddies (with faulty HDDs) and several drive cage blanks. No Windows licence, no installed software. Phone calls or email only please, and I may ring back from a different mobile number. Collection only from WV4. Open to negotiating on price.